This is it! 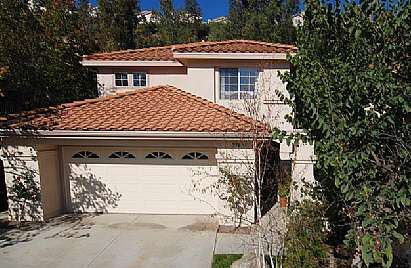 STANDARD SALE in highly sought after Rancho San Rafael community. Gorgeous 4 bedroom 2.5 bath home that has been upgraded throughout by original owners. Wood floors run throughout the home with tile in the kitchen and baths. Beautiful kitchen upgraded with granite counters, custom island, newer Bosch dishwasher, and custom bead board and trim! The master bath and guest bath have been made over with tumbled stone, copper sinks, bronze fixtures, and more. Master features vaulted ceilings and a slider that leads to a walk-out balcony, perfect for enjoying a tranquil Saturday morning. The private and peaceful backyard is lushly landscaped and is perfect for entertaining or enjoying a meal on the patio. The stone fireplace and numerous windows create a bright and cozy environment that you will want to call home. Best of all this home has been kept as meticulous one could imagine, nothing to do but move right in and relax!